'Til you became a "daughter". such a warm and charming touch. and we love you very much. 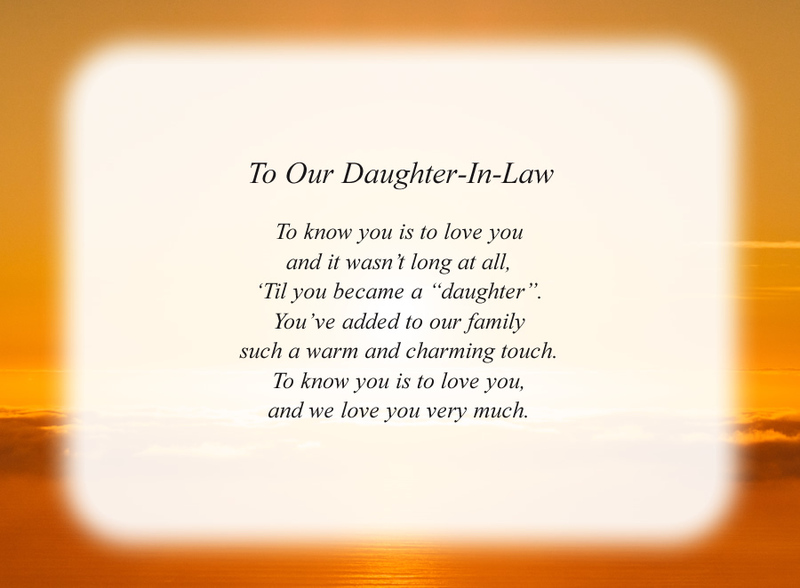 The poem, To Our Daughter-In-Law, is free and printable by opening or downloading using one of the three links below.